There’s a chill wind blowing from the south as I stand on the edge of the cliff and watch the ocean pound in fifty feet below. The Huriawa Peninsular is surrounded by sheer rockfaces, which is what made it one of the great natural fortresses in New Zealand – an impregnable fortified pa named after the great southern chief Te Wera once dominated this part of the Otago coast, and warriors would once have been standing where I am, looking down at a major invasion force, and laughing. You couldn’t design a better spot to endure a long siege – nature provided everything Te Wera and his people could have asked for – a sheer rocky peninsular with only a narrow connection to land and yet views in all directions, abundant seafood in the rich southern ocean all around and perhaps most importantly, a permanent spring of water. Thanks to these blessings the defenders of Te-Pa-a-Te-Wera shrugged off a fierce six-month invasion with ease, and the pa was never conquered. 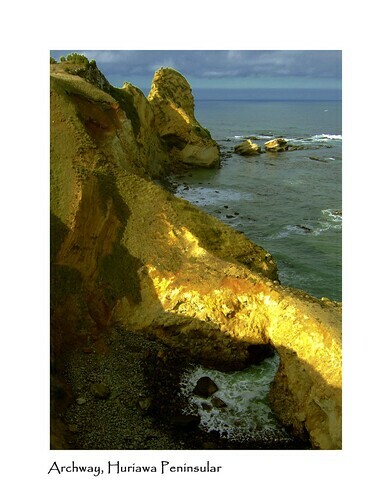 Te Wera, who was the warrior head of the Ngai-Te-Ruahikihiki and kindred clans, was born around two hundred years ago and the great siege occurred around the time Captain Cook was exploring and charting the unknown Otago coastline in 1770. It was a family feud – Te Wera had a nephew named Taoka, who for unrecorded reasons declared a feud against his uncle. From his base further south, Taoka gathered a great invasion fleet of war canoes from around Otago Harbour and as far afield as Timaru, and laid siege to Huriawa Pa. But Te Wera was waiting for him – forewarned he had prepared for a long defense, and stored a year’s worth of preserved birds (pigeon, kaka, weka), fern-root, and dried fish to supply his garrison. The sheer cliffs were made even more formidable with walls, and an array of parapets and terraces secured the narrow neck of land connecting Huriawa to the mainland. Unable to crack the pa’s defenses, Taoka’s army pitched their camps on the long sandbar just to the north of the pa and set up for the long haul. Here they lived for many months, growing food and occasionally assaulting Te Wera, always without success. The weak point of many Maori pas was their water supply – even those with mighty walls and trenches could only last as long as the water did, and they were often limited by how much they could store in gourds. But the great natural fortress of Huriawa provided as ever – there was (and still is) a small but always flowing spring in a dimpled hillside on the northern side of the peninsula. This spring, called Te Puna-wai a Te Wera (Te Wera’s Well), is still trickling out from the grass and rushes in a little green nook. Taoka’s siege continued for six months, until a dramatic and eerie incident broke the will of the attackers. On the hill above Te Wera’s Well was a sacred hut where an even more sacred carving was kept – a carved and tattooed wooden image of the god Kahukura, the great deity or tribal guardian of Ngai-Tahu. One dark night two daring young warriors from Taoka’s army sneaked around the coast in a small canoe and landed on the beach on the south-east side of the peninsula. Here there is a large archway, which funnels in waves to explode in a small rocky pit. 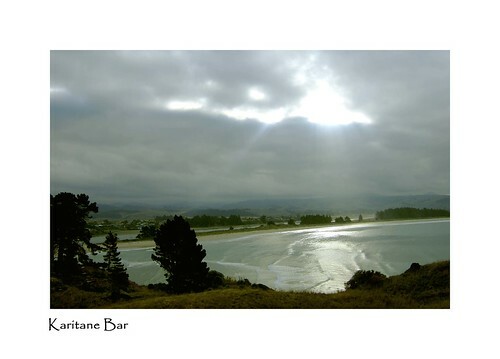 Waiting until low tide the men crept through the archway and clambered up the steep sides of the amphitheatre, tiptoed up to the hilltop shrine of Kahukura and stole the precious carving, carrying it off in triumph to their camp. The next day, the tohunga (priests) of Te Wera were horrified to find it gone, and to add insult to injury shouts of jubilation and war chants rung out from the sandspit where the besiegers were camped. But the thieves triumph was short-lived. Te Wera’s head tohunga, Hatu, and his fellow priests kindled a sacred fire and invoked their many tribal deities and the spirits of their greatest ancestors to return the holy image of their guardian. According to legend, the sacred idol was torn from the hands of the foe that held it, and was bourne through the air back to its proper home. This miraculous recovery caused fear and dejection in Taoka’s followers, and shortly afterwards they abandoned their long siege and went home. The pa had endured, and by the time it was abandoned, not long afterwards, Te Wera and his natural fortress retired undefeated. The Crown returned ownership of the reserve to Te Rünanga o Ngai Tahu as part of the historic Treaty of Waitangi settlement in 1998, and today it is jointly managed by Kati Huirapa Rünakga ki Puketeraki and the Department of Conservation under a protected private land agreement. It’s a beautiful and evocative spot, especially if you think about what happened there, and the Peninsular has some of the best coastal views in the district. There are tracks to explore all around the site and plenty of places to sit and take it all in. Bring a picnic and make sure you stop for an ice-cream at the Karitane general store on the way back! 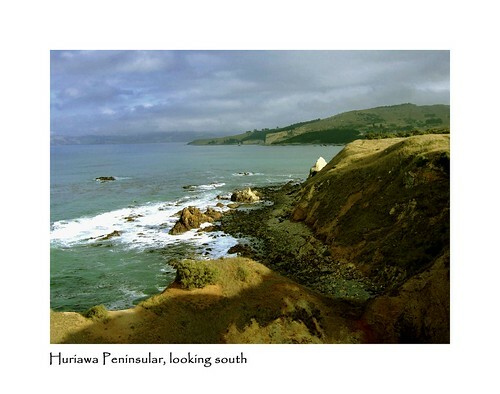 Huriawa Peninsular is at Karitane, about 34km north of Dunedin. If you’re coming from the city, there’s two ways to go. If you’ve got time, take the scenic route along the beautiful coast. Turn right off SH1 at Evansdale and follow the narrow Coast Road via Warrington, Seacliff and Puketeraki to Karitane. Alternatively, if you’re in a rush, take SH1 directly north and turn right to Karitane at the Waikouaiti River estuary. Either way, follow the signs to the beach, then head left along a one-way lane to the end. Park near the carved gates and explore the tracks around the Peninsular to your heart’s content. 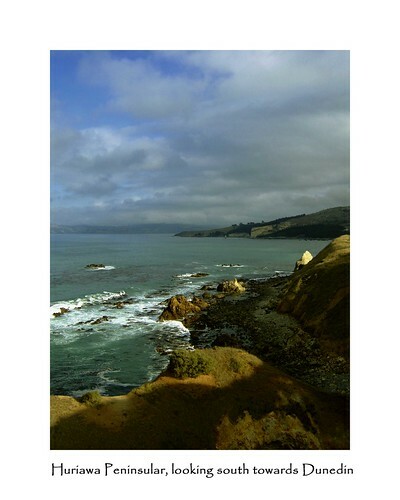 There are great views south towards Blueskin Bay and Dunedin, and north over Karitane estuary and Waikouaiti. 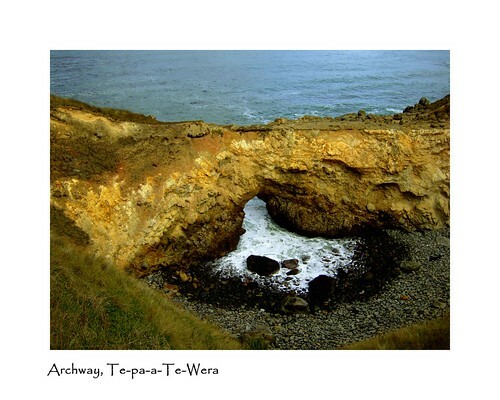 The archway, cliffs, sandbar and spring mentioned in the history of Te Wera are all easily found, and there are interpretational panels at each to help tell the story. I love your photos. New Zealand seems like such a beautiful place, I must come visit sometime. Thank you so much for website. Photos are wonderful. Now Im living in Perth, pics remind me just how beautiful and special home is. We have a lot of history and much to be proud of. Keep up the wonderful work, you are doing an awesome job for generations to come.